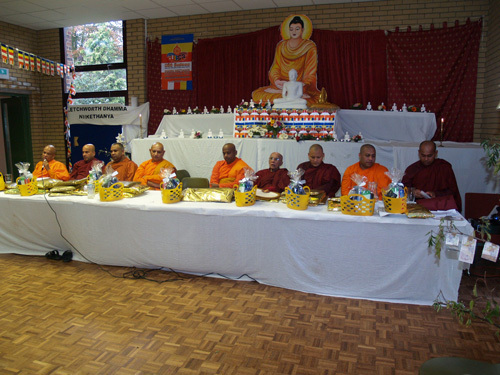 Annual Kathina Ceremony of Letchworth Dhamma Nikethanaya Buddhist Centre was held on Sunday 30th October 2011 at St. Michael's Church Hall, Letchworth. 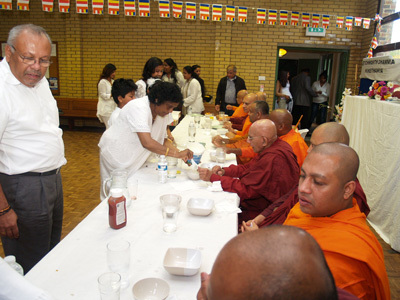 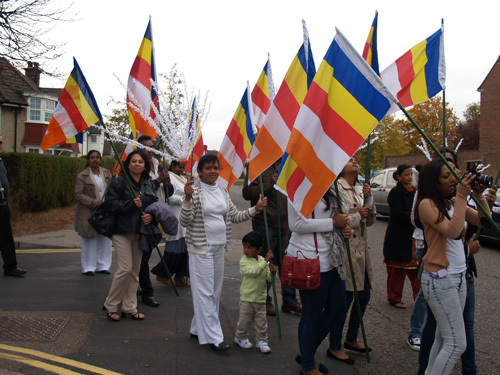 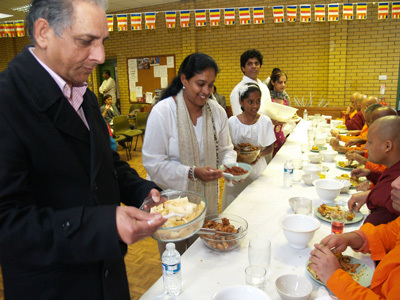 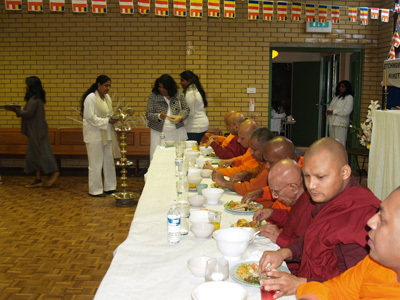 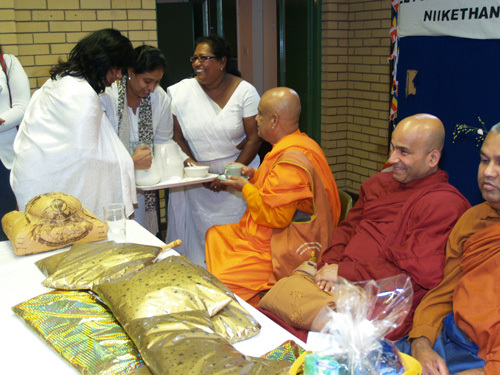 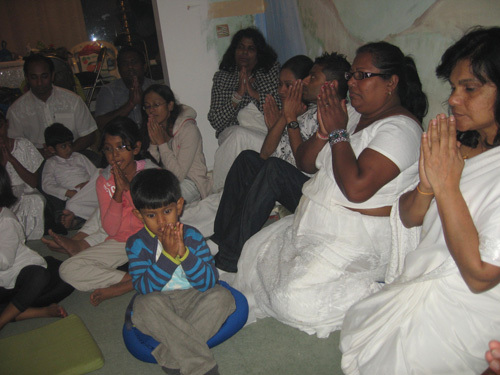 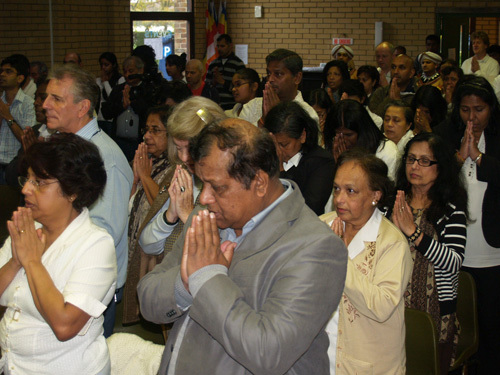 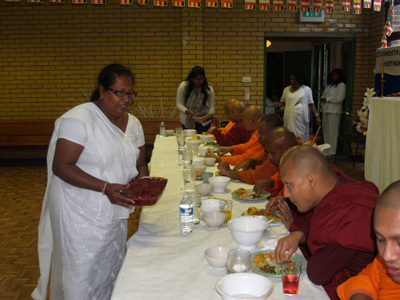 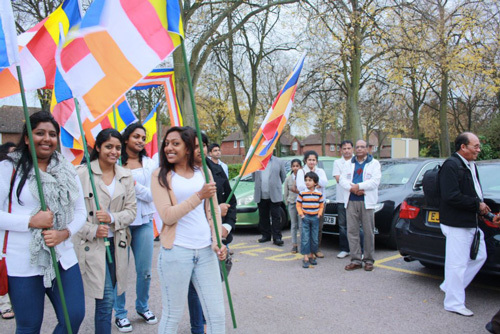 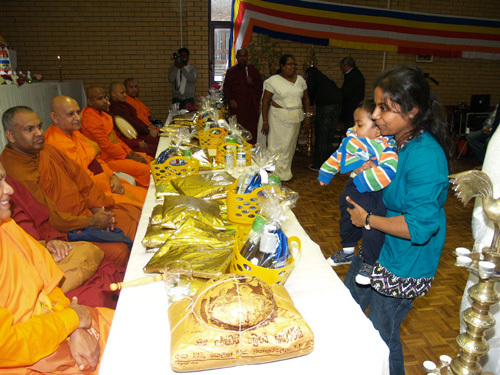 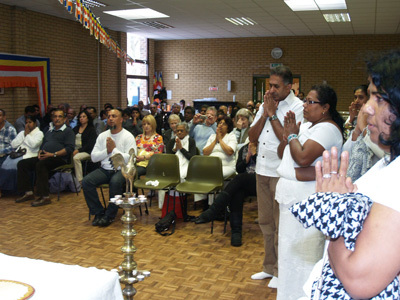 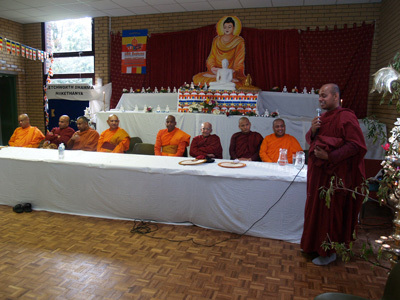 Over 200 devotees witnessed an inspirational Buddhist tradition under the guidance of Ven Akurala Samitha, the head monk of the Dhamma Nikethanaya Buddhist Centre. 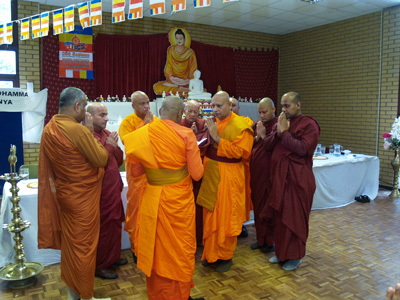 Everyone highly appreciated the well organised ceremony bringing many aspects of the early Buddhist culture and tradition to light in an easy to understand manner. 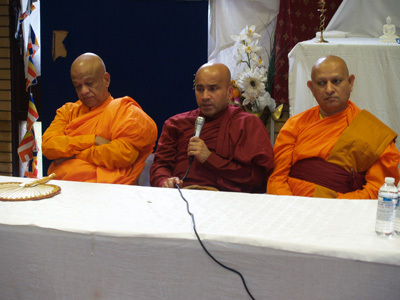 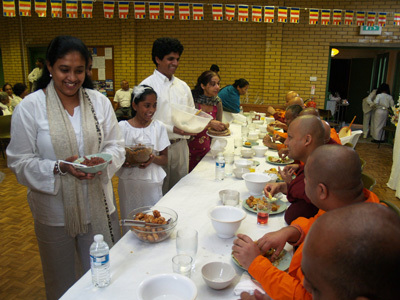 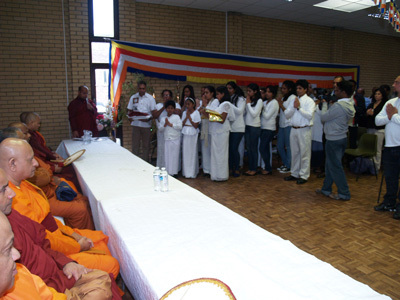 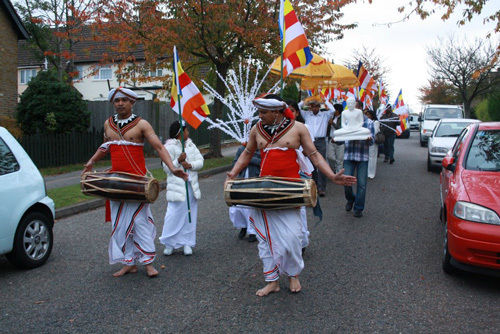 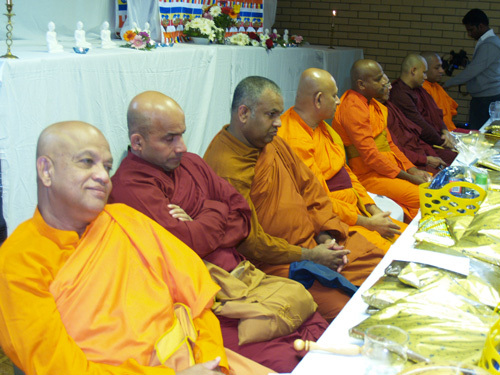 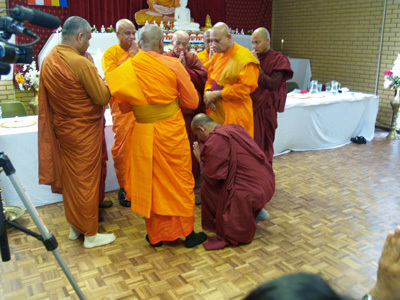 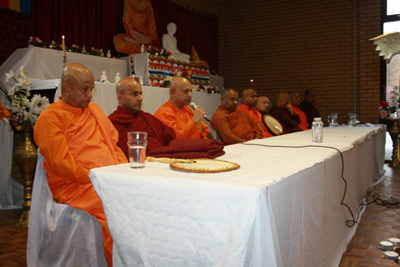 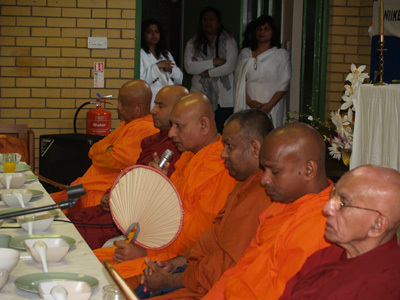 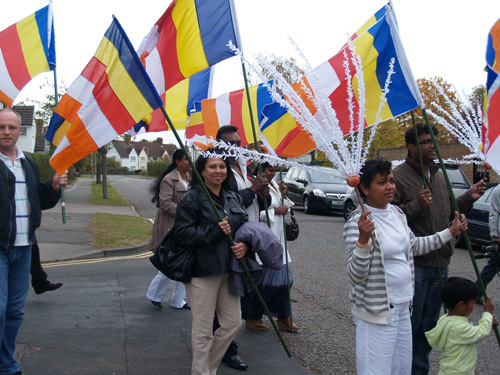 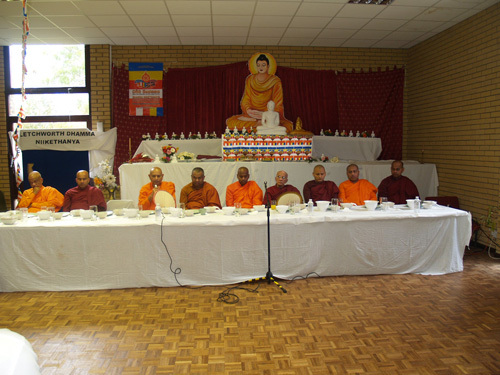 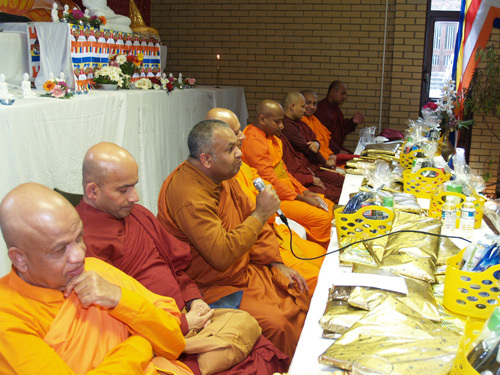 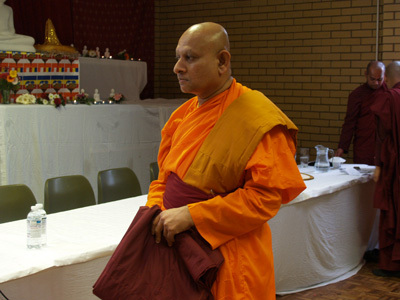 Venerable monks representing many temples in the United Kingdom, headed by Venerable Pahalagama Somarathana Maha Nayaka Thero (Head Monk of Thames Buddhist Vihara), Venerable Tawalama Bandula Thero (Deputy Head Monk of London Buddhist Vihara) Ven Sumanarama Thera (Head of Edmonton Samadhi Meditation Centre) Ven Waskaduwe Subodhi Thero (Resident Monk representing Kingsbury Temple) graced the occasion. 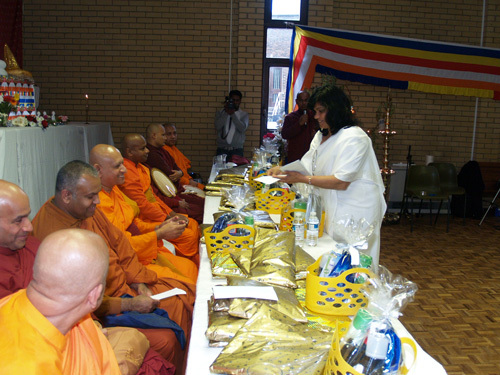 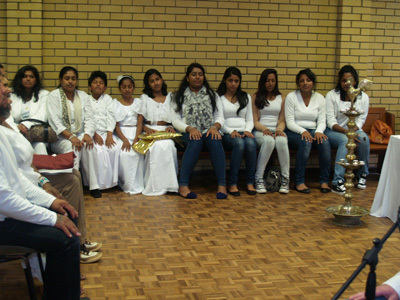 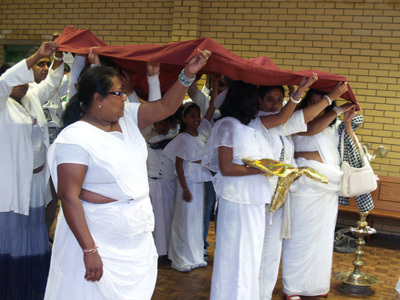 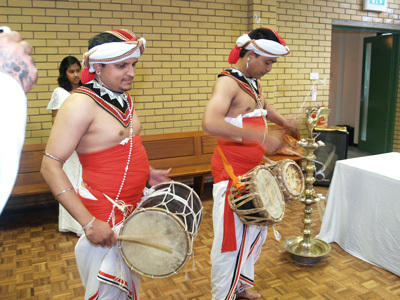 This year ceremony was the eighth consecutive Annual Kathina Ceremony of the Centre. 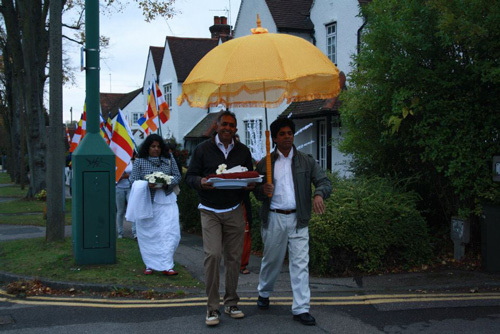 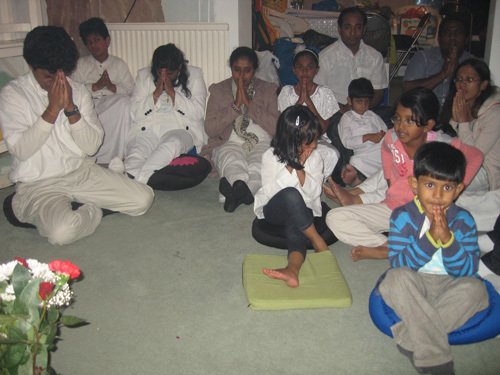 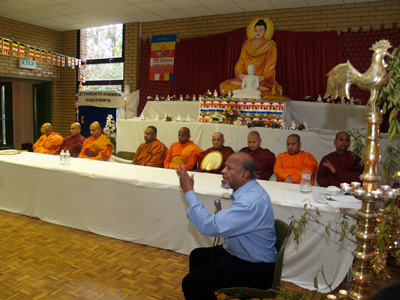 Due to the selfless dedication and skills of the founder and the head of the centre, Ven Akurala Samitha Thero, Letchworth Dhamma Nikethanaya International Buddhist Centre for Education Meditation Psychotherapy and Counselling has increasingly become an valuable resource for the residents in the United Kingdom especially among the diverse community resident in the Letchworth area, which includes members of the Sri Lankan, Indian, English, Burmese, Chinese communities, as well as many others. 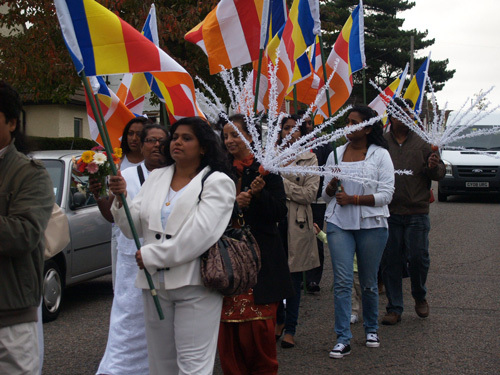 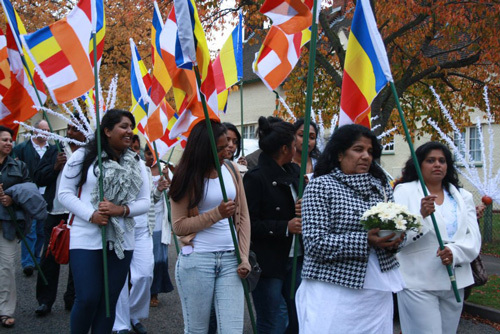 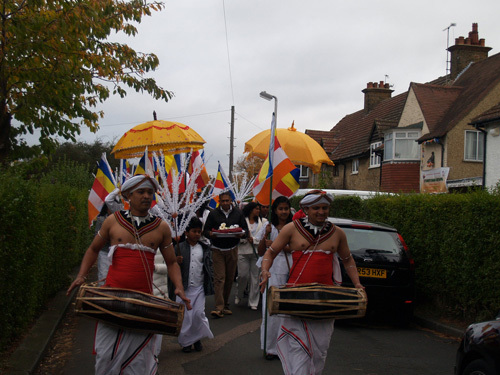 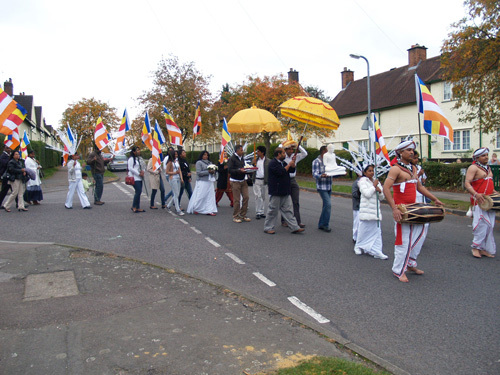 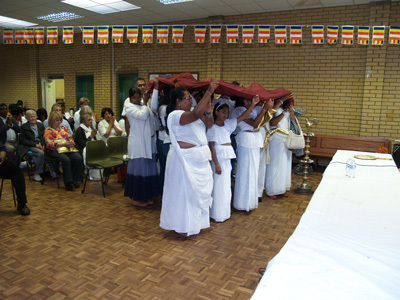 The day’s programme was started by carrying the Kathina Robe and Relics Casket in a respectful procession to the ceremonial hall from the Dhamma Nikethanaya Buddhist Centre at Pix Road. 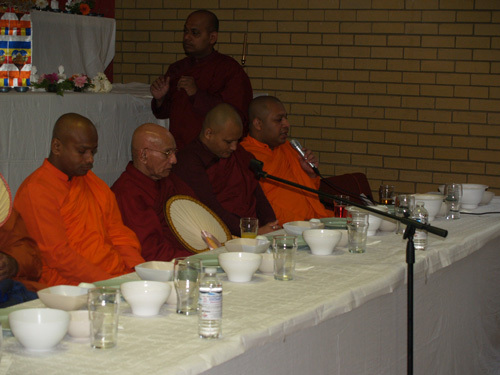 The Ceremony was officially started by welcoming the Venerable monks and lighting the traditional oil lamp. 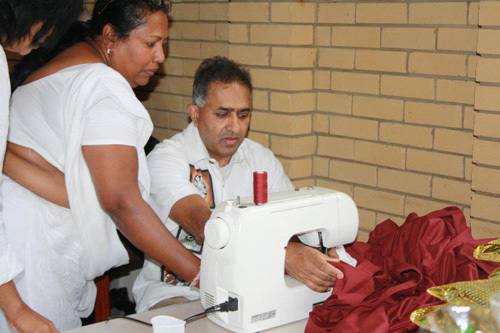 Devotees shared the rare opportunity of stitching the Kathina Robe. 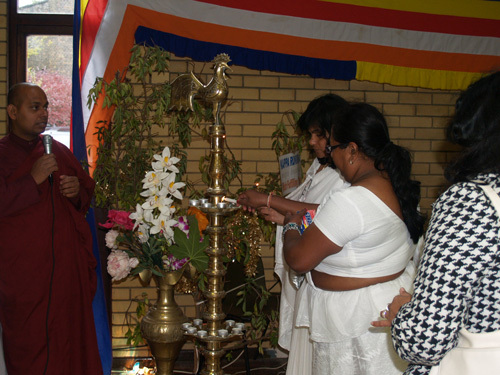 The Traditional Kappa Rukkha (beautiful wishful filling tree) symbolically fulfilled the aspirations of devotees and brought necessities for the centre. 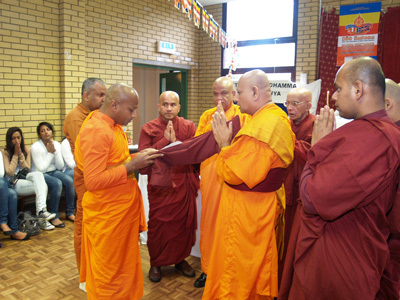 Ven Akurala Samitha Thero explained the significances in English. 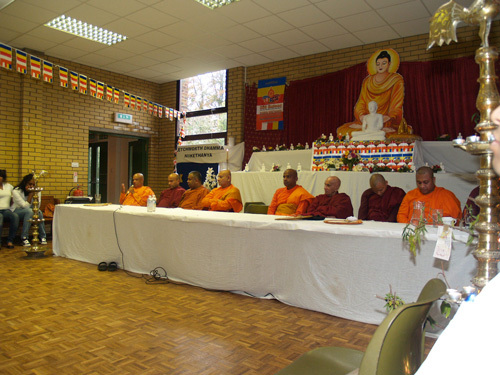 Most Venerable Pahalagama Somarathana Thero delivered the Main Dhamma Sermon in Sinhala explaining the significance of the Kathina Ceremony. 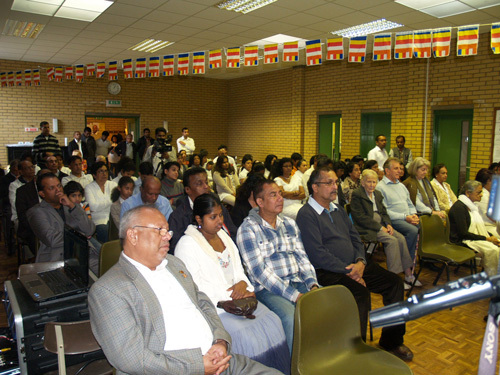 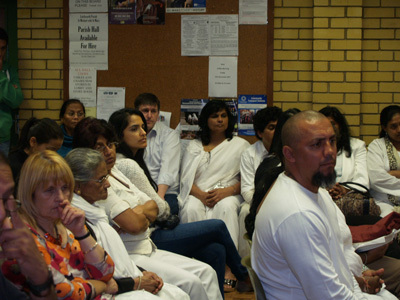 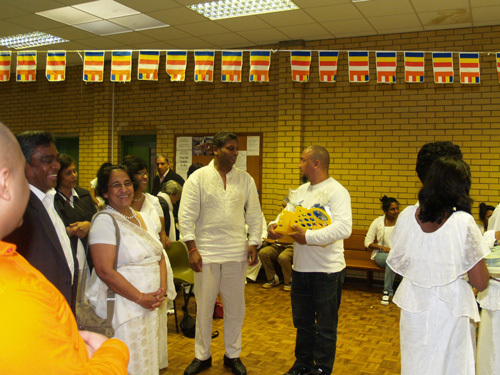 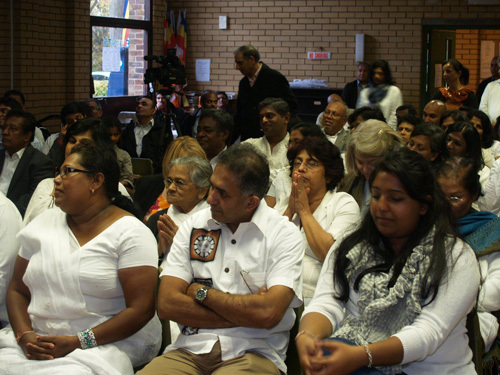 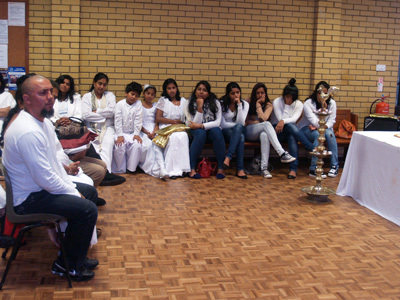 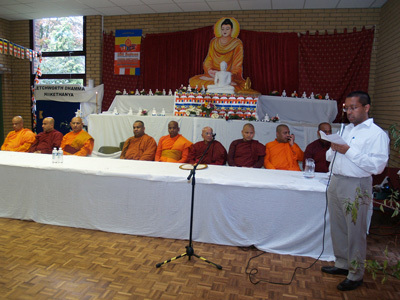 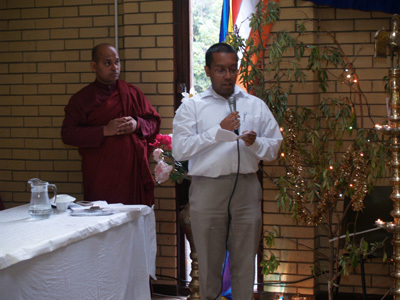 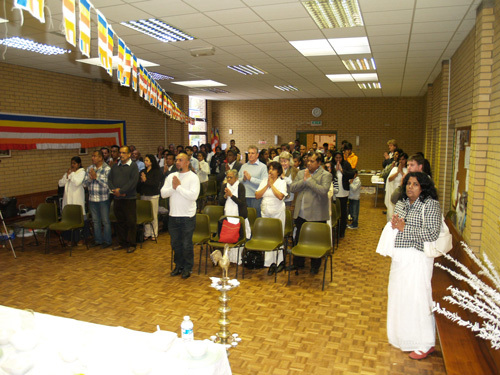 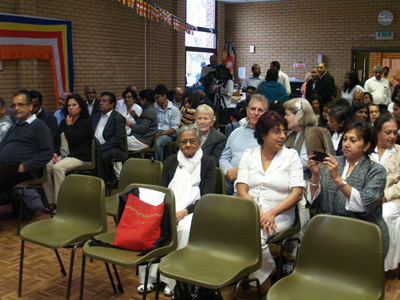 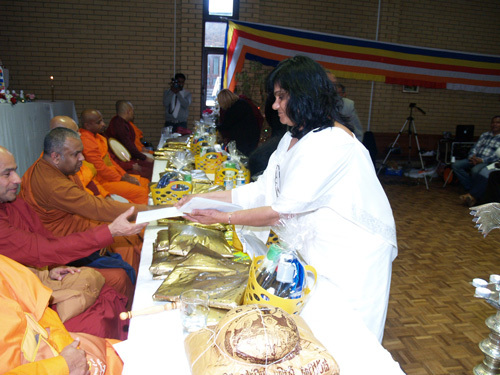 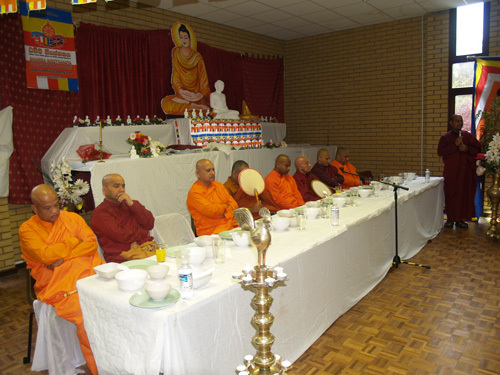 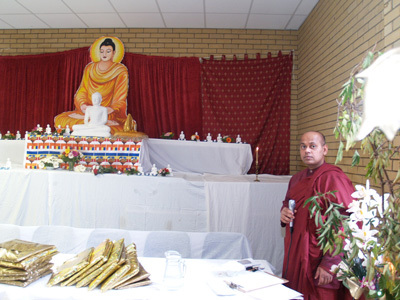 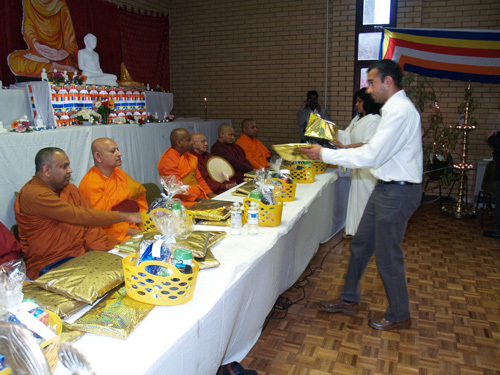 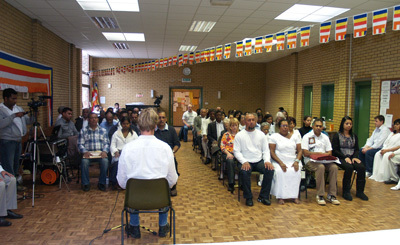 Ven Tawalama Bandula Thero, deputy head of the London Buddhist Vihara delivered a Dhamma Talk in Hindi & English. 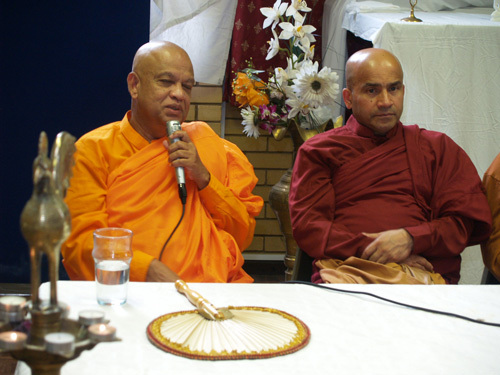 Ven Sumanarama Thero of Edmonton Samadhi Meditation Centre delivered the Dhamma Talk in Sinhala. 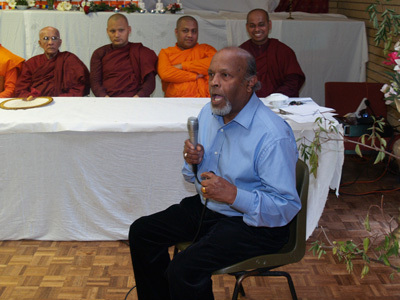 This year key note speech was kindly delivered by Mr Madawala Hemananda, a well-known speaker on Buddhism and the author of many books and articles including "Nature of Buddhism", "Quantum Psysics & Buddhism" and "Emptiness". 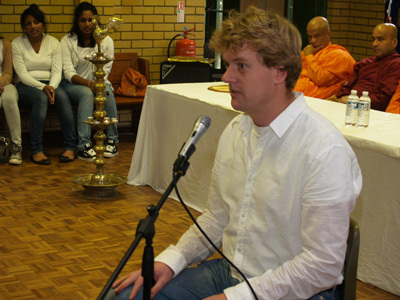 Meditation session of the event was conducted by Mr Arjan Schrier. 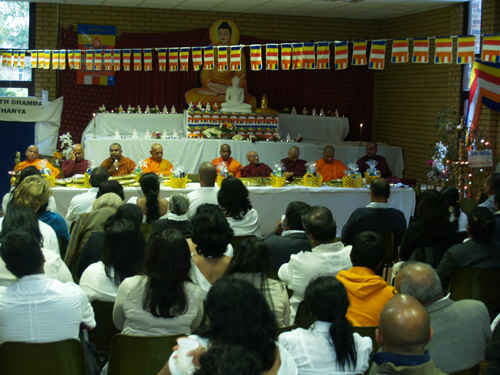 Conducting a beautiful Atavisi Buddha Pooja (Blissful Pooja for Twenty Eight Buddhas) in tribute to parents, Ven Akurala Samitha thanked everyone’s support in making the eighth Annual Kathina Ceremony an enormous success stating that without the generosity, compassion and good will of the members and the friends of the Dhamma Nikethanaya Buddhist Centre nothing would have been possible. 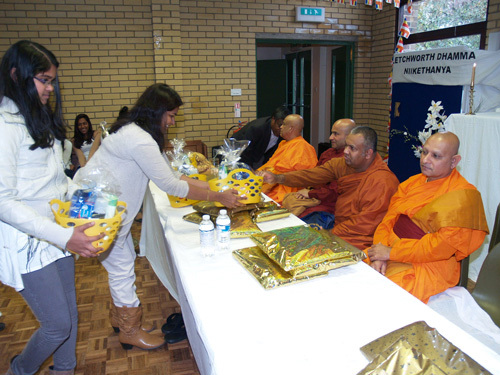 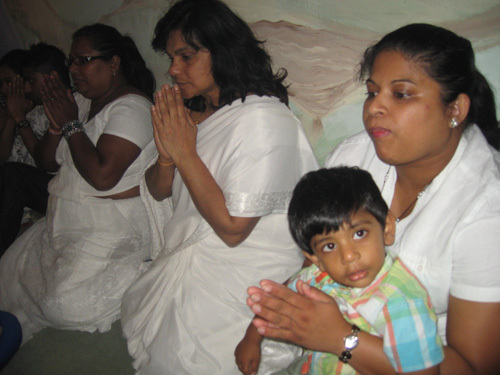 Mrs Ramya Jayasinghe and family were the principal sponsors of this year’s Kathina ceremony with full participation and generous support of the members of the centre. 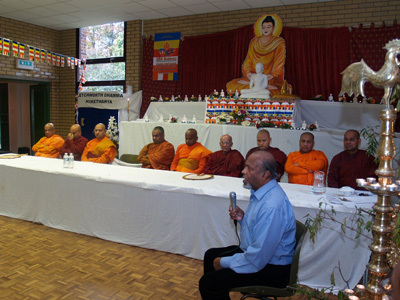 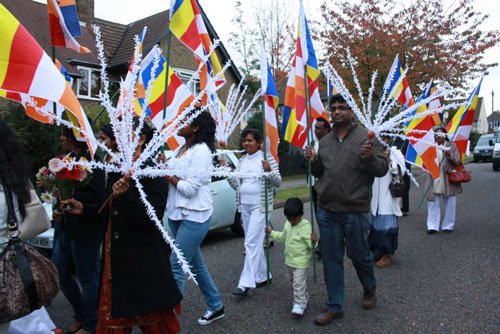 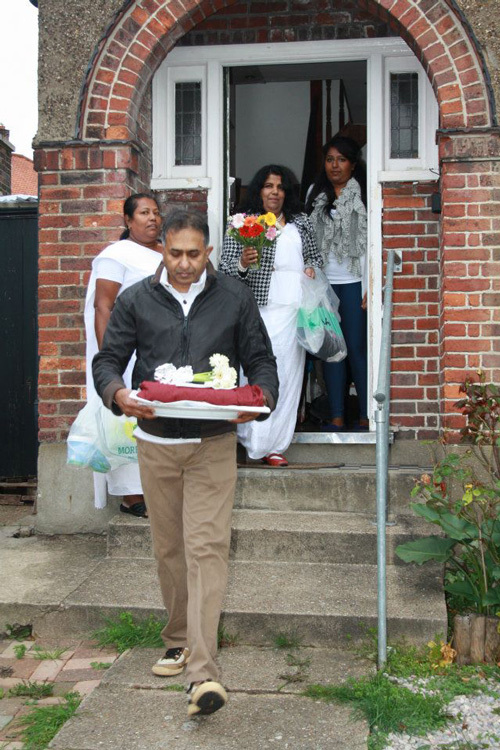 A Delegation of The Thames Buddhist Vihara headed by Dr Kularathna (president) was also attended the ceremony in honour of Ven Akurala Samitha's contribution towards the religious and social services of the Thames Buddhist Vihara. 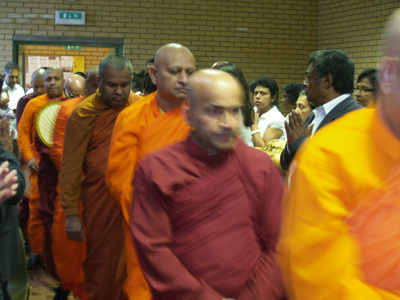 May the Blessings of this greatest meritorious deed completely fulfil, without exception the aspirations of all and lead to the ever lasting happiness Nibbana! 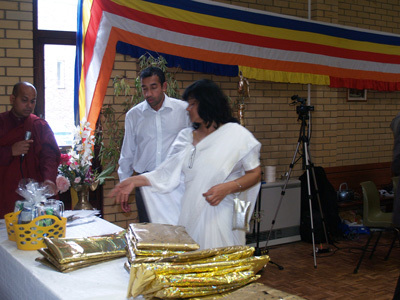 May all be secure, well and happy with noble blessings of the Triple Gem!